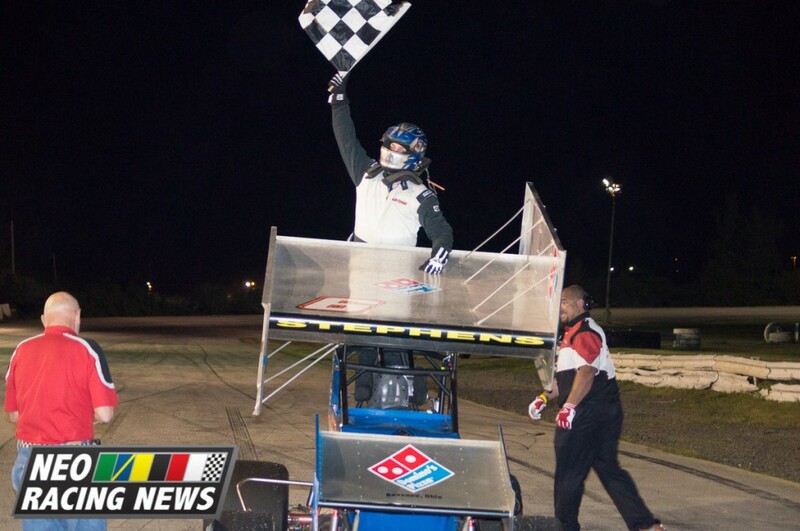 Five Features, five winners at Sandusky Speedway’s rare Sunday night race. #6L Talon Stephens swept the night’s Buckeye Super Sprint racing after several tributes to his team’s owner, Sam Layne. Layne, a sprint car owner for more than 30 years, passed away this week. Talon is the third generation of Stephens to drive for Layne, who helped over 10 drivers get a ride in a sprint car. Sandusky Speedway honored Layne with a moment of silence prior to the BSS Heat Race, and also left the Feature Race’s pole position open in honor of Sam’s Legacy. 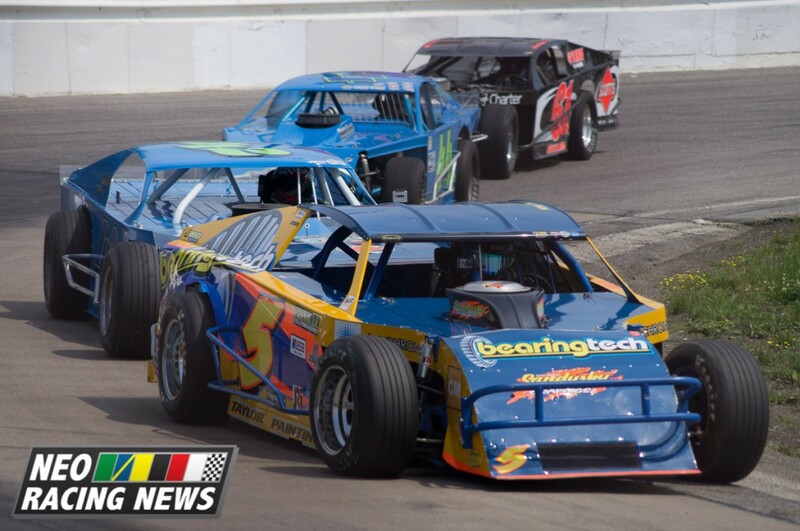 The second leg of North Coast Modified Challenge was also held Sunday night. #33 Jeffrey Fade Jr. won at Lorain Saturday, giving him a chance to snag a $1,000 bonus if he could sweep and win at Sandusky. The bonus money ended up being safe, as #0 Kenny Phillips finished the 30 lap feature first. Chris Hamilton cruised to victory in his #5 car to win the Street Stock feature. 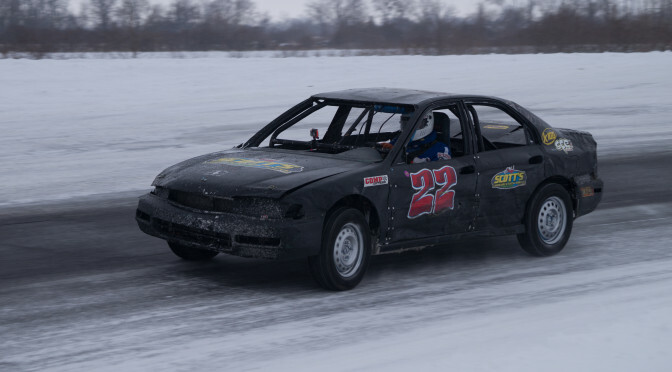 #22 Cornel Mentler rode out several red flags to take the Ohio Stock Feature win. Driver Jerry Karl was taken to the hospital for observation after a wreck on the backstretch during the Ohio Stock Feature, but he is reportedly OK. Concluding the night were the Hobby Stocks. Despite not starting until midnight, the field of about 12 cars put on a great show for the fans. Emerging from the constant two-wide and three-wide racing was #7 Zack Miller. This was Miller’s first Feature win.